Adams, anni più tardi, chiese pubblicamente scusa a Loan ed alla sua famiglia per il disonore che aveva provocato loro. Quando il Generale Loan morì, Adams lo elogiò come eroe di una giusta causa. La foto fece comprendere al pubblico americano, più di ogni altra inchiesta, che il governo sud vietnamita non era un governo democratico, ma una dittatura corrotta e militarista, in cui il valore della vita umana non godeva di alcuna considerazione. Accuse che potevano essere legittimamente rivolte anche al Vietnam del Nord, ma proprio questa indistinguibilità morale, agli occhi dell’opinione pubblica americana, contribuì a rendere la guerra del Viet Nam un inutile sperco di vite umane e di denari dei contribuenti. Eddie Adams (June 12, 1933 – September 18, 2004) was an American photographer and photojournalist noted for portraits of celebrities and politicians and for coverage of 13 wars. He won a Pulitzer Prize in 1969. Combat photographer Adams served in the United States Marine Corps during the Korean War as a combat photographer. One of his assignments was to photograph the entire Demilitarized Zone from end to end immediately following the war. This took him over a month to complete. Pulitzer Prize winning photograph Adams’ photograph of Nguyễn Ngọc Loan executing Nguyễn Văn Lém on February 1, 1968 It was while covering the Vietnam War for the Associated Press that he took his best-known photograph – the picture of police chief General Nguyễn Ngọc Loan executing a Vietcong prisoner, Nguyễn Văn Lém, on a Saigon street, on February 1, 1968, during the opening stages of the Tet Offensive. Adams won the 1969 Pulitzer Prize for Spot News Photography and a World Press Photo award for the photograph (captioned ‘General Nguyen Ngoc Loan executing a Viet Cong prisoner in Saigon’), but would later lament its notoriety. Writer and critic David D. Perlmutter points out that ‘no film footage did as much damage as AP photographer Eddie Adams’s 35mm shot taken on a Saigon street … When people talk or write about [the Tet Offensive] at least a sentence is devoted (often with an illustration) to the Eddie Adams picture’. Anticipating the impact of Adams’s photograph, an attempt at balance was sought by editors in the New York Times. In his memoirs, John G. Morris recalls that assistant managing editor Theodore M. Bernstein “determined that the brutality manifested by America’s ally be put into perspective, agreed to run the Adams picture large, but offset with a picture of a child slain by Vietcong, which conveniently came through from AP at about the same time”. Nonetheless, it is Adams’s photograph that is remembered while the other far less dramatic image was overlooked and soon forgotten. In Regarding the Pain of Others, Susan Sontag is disturbed by what she sees as the staged nature of the photograph. She writes that ‘he would not have carried out the summary execution there had [the press] not been available to witness it’. However, Donald Winslow of the New York Times quotes Adams as having described the image as a ‘reflex picture’ and ‘wasn’t certain of what he’d photographed until the film was developed’. Furthermore, Winslow notes that Adams ‘wanted me to understand that “Saigon Execution” was not his most important picture and that he did not want his obituary to begin, “Eddie Adams, the photographer best known for his iconic Vietnam photograph ‘Saigon Execution’’ On Nguyen Ngoc Loan and his famous photograph, Adams wrote in Time in 1998: “ Two people died in that photograph: the recipient of the bullet and GENERAL NGUYEN NGOC LOAN. The general killed the Viet Cong; I killed the general with my camera. Still photographs are the most powerful weapons in the world. People believe them; but photographs do lie, even without manipulation. They are only half-truths. … What the photograph didn’t say was, ‘What would you do if you were the general at that time and place on that hot day, and you caught the so-called bad guy after he blew away one, two or three American people?’…. This picture really messed up his life. He never blamed me. He told me if I hadn’t taken the picture, someone else would have, but I’ve felt bad for him and his family for a long time. … I sent flowers when I heard that he had died and wrote, “I’m sorry. There are tears in my eyes. Adams later apologized in person to General Nguyen and his family for the irreparable damage it did to the General’s honor while he was alive. When Nguyen died, Adams praised him as a “hero” of a “just cause”.On the television show “War Stories with Oliver North” Adams called Gen. Nguyen “a goddamned hero!” He once said, “I would have rather been known more for the series of photographs I shot of 48 Vietnamese refugees who managed to sail to Thailand in a 30-foot boat, only to be towed back to the open seas by Thai marines.” The photographs, and accompanying reports, helped persuade then President Jimmy Carter to grant the nearly 200,000 Vietnamese boat people asylum. [He won the Robert Capa Gold Medal from the Overseas Press Club in 1977 for this series of photographs in his photo essay, “The Boat of No Smiles” (Published by AP).Adams remarked, “It did some good and nobody got hurt. ← Ma chi era Mario GIACOMELLI? 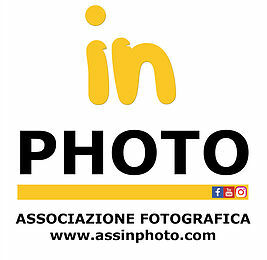 Vita, foto, intervista. Grazie mille a te, vedo che mi scrivi sempre, mi fa piacere! Buona giornata!